Information about employees, positions and organization units – the HR departments see the convergence of enormous data volumes, which need to be brought into an organizational structure and which form the basis of personnel controlling procedures. As is the case at Maersk, a Danish business conglomerate. A clear organization structure supports HR representatives, managers and employees in their day-to-day work. Maersk uses Ingentis org.manager to visualize personnel and organizational information on over 60,000 employees in 130 countries in an organization chart. At Maersk alone, Ingentis org.manager is accessed more than 10,000 times per month. 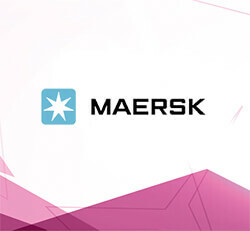 The Maersk Group is a worldwide organization with about 89.000 employees and offices in around 130 countries. In addition to owning one of the world’s largest shipping companies, Maersk is also involved in a wide range of activities within the energy, shipping, retail and manufacturing industries. During a SAP HCM implementation project for the entire Maersk Group, it was identified that the company was missing a user friendly visualization tool of the organization chart. A clear organization structure based on data from SAP HCM should create more transparency within the company. Another benefit should be the time saving, which means that personnel information can be quickly located and printed. The project team looked at multiple products. By an SAP implementation partner assisting with the SAP HCM roll-out Ingentis org.manager was brought to their attention. Ingentis org.manager enables managers and HR consultants at Maersk to browse the organization structure and access relevant key data from SAP HCM at the same time. The organization structure is visualized by an organization chart created as an HTML page in realtime. The organization chart contains information on organization units, positions and employees. In employee lists, which can be displayed below the organization chart, users are offered further detailed information; including location, email address and job ID of the employees. Photos of the individual managers can also be added to the organization chart via an automated process. Moreover, employees can be located in the organization chart quickly using the search function, via their name or job ID for example. And the function designation can be used to search for a group of employees. The hit list can be exported and processed as an Excel document. A modern personnel controlling system relies on the established organization and personnel structure to be able to show standardized identification numbers in a clearly organized form for each organization unit. The personnel identification numbers are prepared and packed into reports via an automated process. Maersk uses a Data Quality Index view to visualize the share of clean data based on a number of data quality definitions. The index indicates what percentage of employee master data, based on predefined rules, is correct. The Data Quality Index is measured for categories such as personnel data or position information. The quality index for organizational units is visualized via color coding (green, yellow, red).